The good news to come out of this round is that the applications submitted by clubs have been more competitive than ever before. I can say that on the whole, the information submitted has been comprehensive and well-reasoned and the high majority of applications received were of an incredibly high standard. I would like to take this opportunity to feedback that we received repeated applications to things we can’t and won’t fund (e.g. accommodation, officials and officiating courses, travel to training, individual players’ insurance or affiliation to National Governing Bodies). We also need more detailed inventories of current kit/equipment stock before we can award a grant for more. Now to address the elephant in the room. We rejected £70,000 worth of applications in this round of grants, which included many applications to pay for competitions considered essential to clubs. £92,000 is not an abnormally high amount of money requested by our sports clubs (in 2016, £91,000 were requested, and £78,000 in 2015) but there has been an upward trend in what amount of grants sports clubs deem to be essential. I believe this is mainly due to the expectations that the amount of money awarded by the Students’ Union will be at least the same as previous years – and there is nothing inherently wrong with this. In previous years, the Sports Zone budget has grown year on year, leaving scope for additionality whilst continuing to run existing activities. This year however, the University cut our overall block grant by 6.5%, which in turn forced us to reduce our workforce and expenditure, including our clubs and societies budgets. The Sports Zone was unfortunately hit particularly hard with our overall grants budget being set at £200,000 this year compared to £234,000 last year. In this grant round, the difference in budget was particularly evident (£22,000 available compared to £35,000 last year). Over the last week, I have had to make some incredibly difficult decisions over which clubs can afford to go to their competitions. We are aware that many clubs will now miss out on attending competitions they expected to go to through no fault of their own, and I would urge clubs with extreme financial difficulty to come and discuss their issues with myself and the rest of the AU as soon as possible. Unfortunately, the system upon which we have relied up until now is unsustainable and needs to be changed. I am making a promise to the student body today that I will put in work to look at how we can allocate grants in a more sustainable way and I will submit my recommendations to the Union’s Trustee Board before the end of the academic year. Additionally, I will fight any further plans to inflict more cuts to the Students’ Union’s block grant from the University. 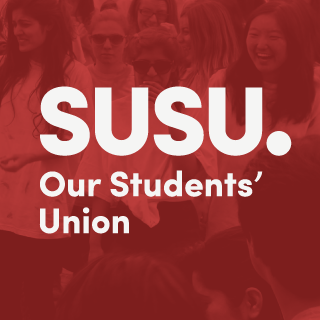 As a Students’ Union, the student experience is always our first priority, and we will do everything in our power to make it the priority of the University.